Lehnen Sie sich zurück, entspannen oder zu Fuß für Meilen entlang der schönsten Strände auf der Insel. Kaha Lani, am östlichen Ufer, ist das Juwel von Kauai. Schwimmen, Schnorcheln, finden Sie in der Fern Grotto und die Opeaka'a Falls. Wanderung Sleeping Giant, oder machen Sie eine Kanutour auf dem Wailua Fluss. Einkaufen gehen im Coconut Markt oder einfach nur Eis essen am Strand. Sie können es von hier aus zu Fuß, wir sind so nah! 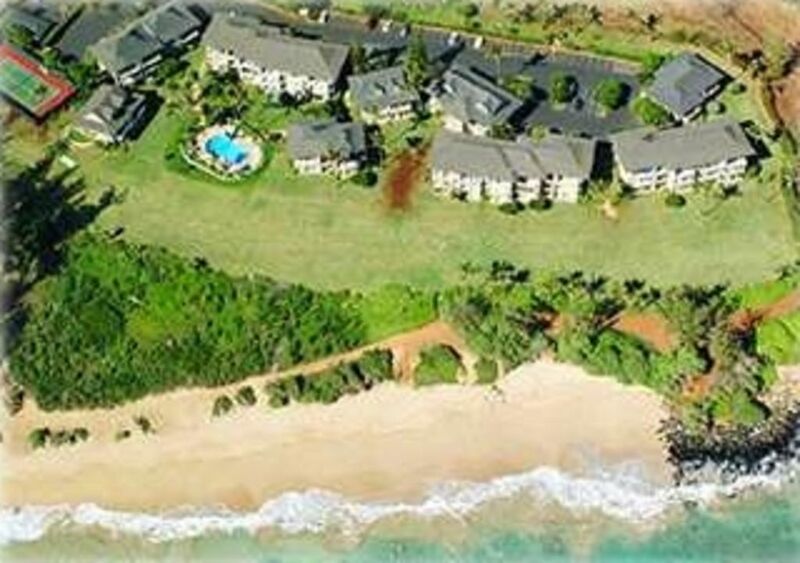 Spaziergang am Strand bei Lydgate Park schnorcheln, spielen auf unserem Tennisplatz oder Tee It Up nebenan im Wailua Golfplatz, dem Ort des '96 USGA Publinks Championship. Die Wohnung bietet Auge knallenden Sonnenaufgänge und große Wale beobachten direkt von Ihrem Wohnzimmer und Lanai. Am Ende des Tages, schlafen, wie Sie auf unserer California King "Pillow Top" Bed bist zu Hause. Noch wollen, um zu kochen? Genießen Sie unsere komplette Küche und Gas BAR B Q.
Unser Haus ist ein Nichtraucher Allergie frei, klar, sauber und hell. Also packen Sie Ihre Shorts, T-Shirts, Flip Flops, Badeanzüge und Kamera und kommen wieder aufzuladen Batterien Ihres Lebens. Werden Sie Kauai Solar betrieben. Overall the condo is great - nice complex with a great pool, beautiful view of the ocean, great balcony with furniture, short walk to Lydgate Park and close to Kapa'a. The interior of the condo i was a bit unkempt and needing maintenance. A couple of the electrical outlets did not work, a lamp had a broken switch, the taps in the bathrooms (especially the main bathroom) were extremely tight, the toaster worked intermittently and the fridge door did not close unless we removed the bottom drawers. It would have been much more convenient if the condo had a washer/dryer, but there are laundry facilities located behind the main office, a short walk away. That said.... the rental company was great to work with, the master bed was extremely comfortable, and we appreciated being provided beach chairs, mats and a boogie board. We would recommend this condo to others. This was a perfect condo on the East side of the Island for me and my wife. We somehow didn't have the suite access instructions when we arrived. Despite the lady at the front desk being suspicious of us and generally no help at all we were able to email Mariel and she responded right away with the instructions. After that it was clear sailing. The condo has everything you will need. There is an ice maker in the freezer that was an awesome surprise. I think this is a complex with a lot of older people so it is exceptionally quiet. The other residents are very friendly. The lady in a condo near us, Nancy, saw us arrive and helped us locate the lock box and since we arrived early before the room was ready offered us to come in and change out of our winter-like clothes. Like I said, extremely friendly. The lanai overlooks the pool but you can see the ocean as well which was a nice surprise. Bring your binoculars as we saw whales almost every morning. The grounds are very well maintained. The wifi works great. There is a large flat screen tv to watch at night as well as a small tv in the bedroom. There is no air conditioning in the entire complex however there are ample ceiling and other fans in the condo to help keep you comfortable at night. This island has a VERY large population of chickens and roosters. YOU MUST BRING EARPLUGS FOR SLEEPING! It was perhaps the best thing we brought with us because we would not have slept without them. They are a bit comical at first but can get a bit annoying after a week or so. There is a Longs Drugs just up the road if you need to pick up some sun screen and other supplies when you arrive. There really isn't anything I can complain about with this condo. So if you are looking for a nice condo on the East side of the island than this place would be hard to beat. We really lucked out with this place. We recommend the kayaking tour on the Wailua River but bring shoes/sandals you can hike in and get wet. Also the hike up the Sleeping Giant is a must but keep going past the end of the trail sign for the best experience. We saw 7-8 year olds up there so it's not too extreme. Kealia Beach for bodyboarding and Lawa'i Beach for snorkling. Guaranteed to see turtles. Olympic Cafe in Kapa'a has great food with very large portions and an awesome atmosphere. Kauai Island Brewery and Grill rocks! We would come back here in a heartbeat if, or perhaps, when we return to paradise. Thank you Mariel. Beautiful place and outstanding views! The condo is clean and well furnished. It is an upper floor location that looks out over the pool and then the most beautiful beach. The sunrises alone should bring you here. The walking paths around the complex and those on the other side of Kappa are wonderful. The owner (Mariel) and property manager (Sue) were both very kind and accommodating. The house and the hosts made it such a wonderful two week adventure. We came back to celebrate our anniversary. Now we can't wait to come back because of the beautiful condo and the great people! I highly recommend this place! This was the perfect condo for us to spend 6 nights. Since we had never been to Kauai, we chose this area because it was located in the middle of the island. While the airport is only 10 minutes south, there never was noise from airplanes taking off or landing. Travel to Hanalei to the north and Waimea to the south was less than an hour each way. The condo itself is maintained extremely well, and supplied with everything one would need. The grounds of Kaha Lani are kept up very well, too. In the time we were there, we barely saw anyone using the pool. It is a short walk through the property to get to the beach. A short walk to the north brings you to Lydgate Beach which is very family and kid friendly. We walked the beach to the south a couple of days all the way to the Kauai Beach Resort (2 miles?) and never saw more than a few people. There are many places to eat in Kapaa, along with a Foodland and Safeway grocery store. Lastly, the owner Mariel, is very reponsive to any questions we had and is very enjoyable to work with. Amanda M.Where do you live? This is my second time staying at this property...and since my last trip the owner has upgraded the bathrooms and kept the whole place in great condition. Appliances, bathrooms, and kitchens are all modern and everything worked as advertised. We felt really comfortable, and the condo had everything we needed (including a few bonus amenities, like beach chairs & snorkle gear, which we used for some day trips). Mariel (the owner) is always responsive, and checked in with us to make sure we had what we needed. The beach and pool are right there, so you've got the best of both worlds, and the location was central to some favorite hiking spots and beaches. I've recommended this place to my friends, I love that it's a well-cared for property, but its a small enough community that you don't have to fight for a spot at the pool. The only thing you have to worry about is the roosters! I'll be back. Hopefully soon! We had a wonderful time here, very centrally located and best of both worlds with beach and pool close by. Everything you would need in a kitchen, beautiful balcony and very comfy king bed.